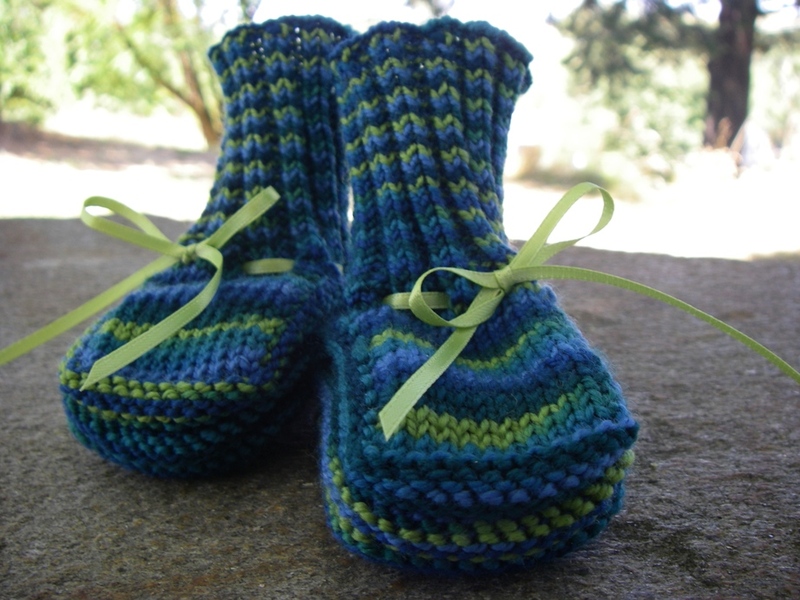 Whenever a new baby is born in our family or circle of friends, my mom knits something for the new arrival. Sometimes it’s a tiny sweater or a hat, but usually it’s a pair of baby booties. A couple of my friends had a baby boy earlier this summer, so I thought I would continue the tradition. 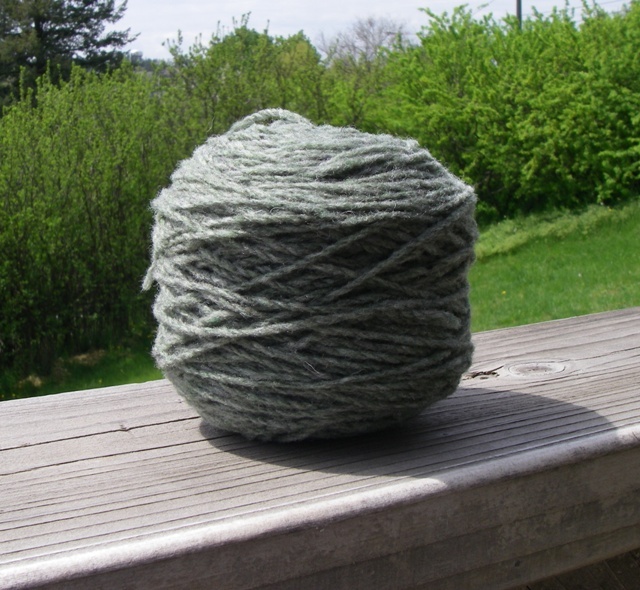 Baby things make wonderful projects because they’re so small that they seem to fly right off the needles. 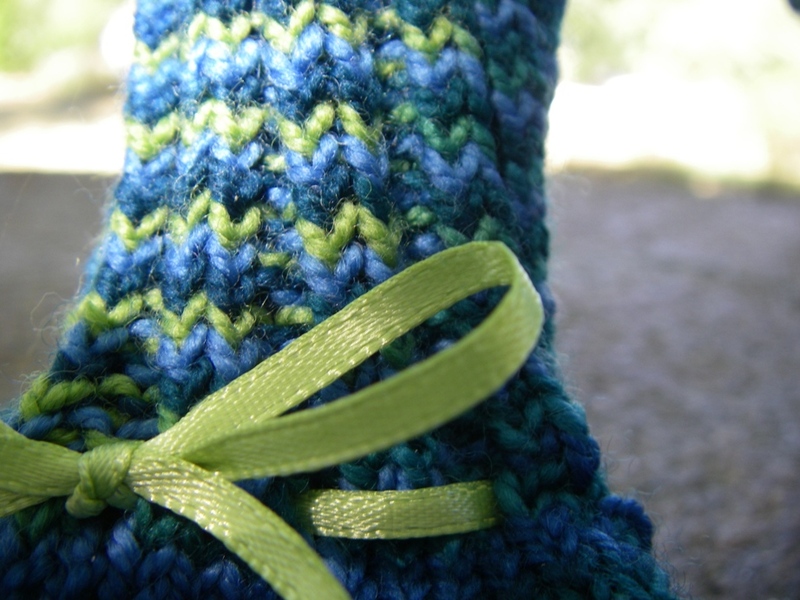 Especially in the summer, when you really don’t want a half-finished sweater or blanket sitting on your lap as you knit, working on a pair of booties is great. Plus, they’re just so cute! 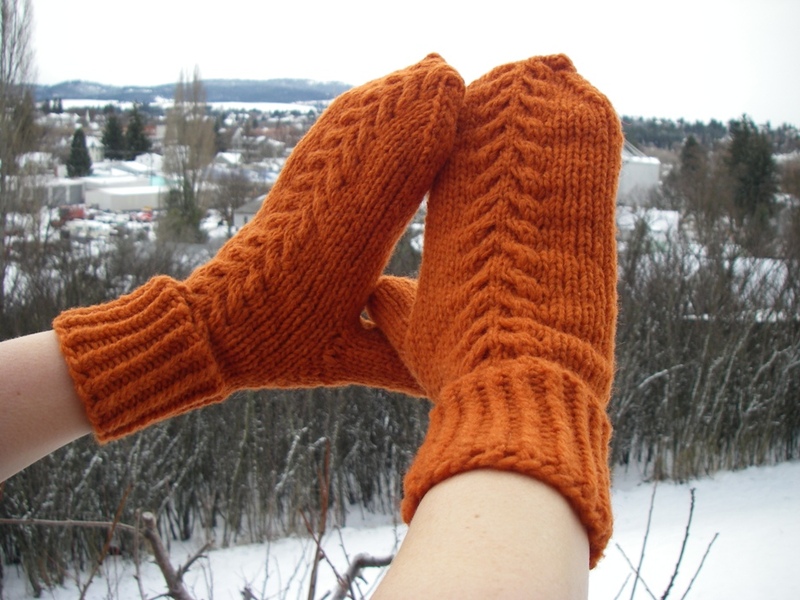 Way back in March, I happened across the pattern for Halliard, by Kate Gilbert, in the pages of the Twist Collective (an on-line knitting magazine/cooperative that I love). As soon as I saw it I knew I had to knit it. It’s really just a very lovely sweater. That’s Imperial Stock Ranch Tracie, in Spring Sage. 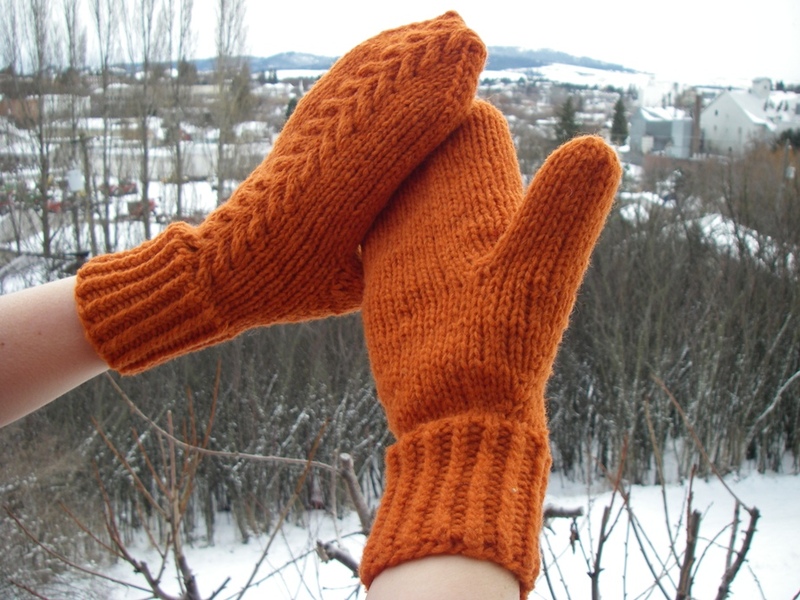 The pattern calls for US size 9 needles, but of course with a different weight yarn, I had to use different needles – US size 2s! Quite a change. In order to get the sizing and proportions right, I’ve been following the instructions for size 39″ (the size I actually want the sweater to be), and the instructions for size 51″ (the size I’d have to knit, given my gauge, to get a 39″ sweater), as well as improvising, measuring, and trying-on (those last two items being the only fool-proof way to knit a sweater that actually fits). So far it’s going surprisingly well! 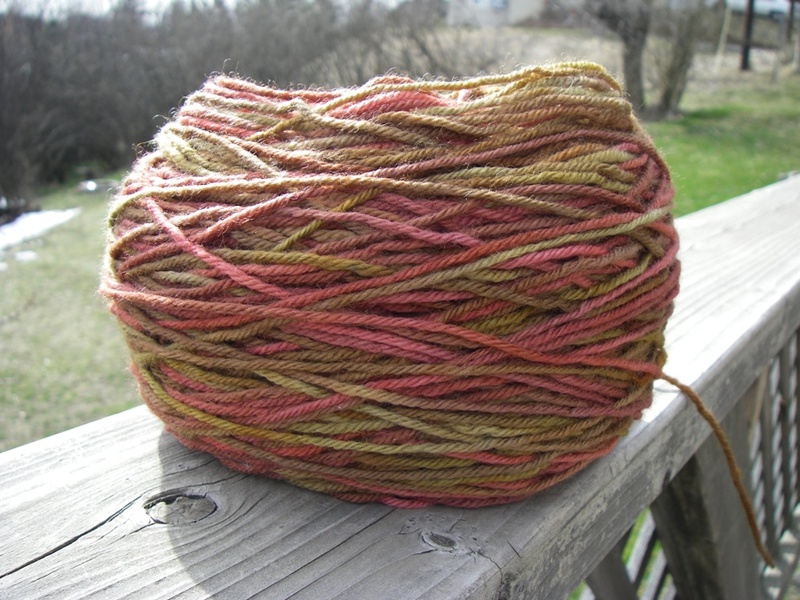 Hopefully I’ll have a finished sweater before it’s cold enough to need one again next fall. 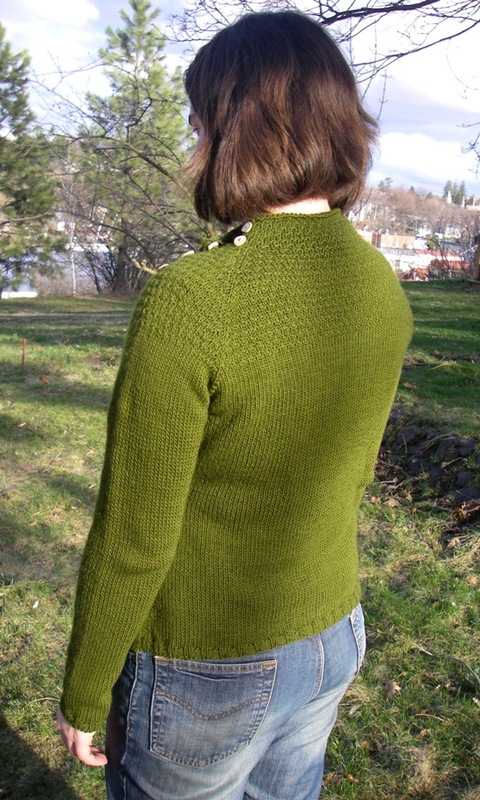 The green sweater is finally finished! It only took two years and two months from start to finish, but it was worth it. Sometimes my projects seem to need a break (or two, or three…) before I can get them done. 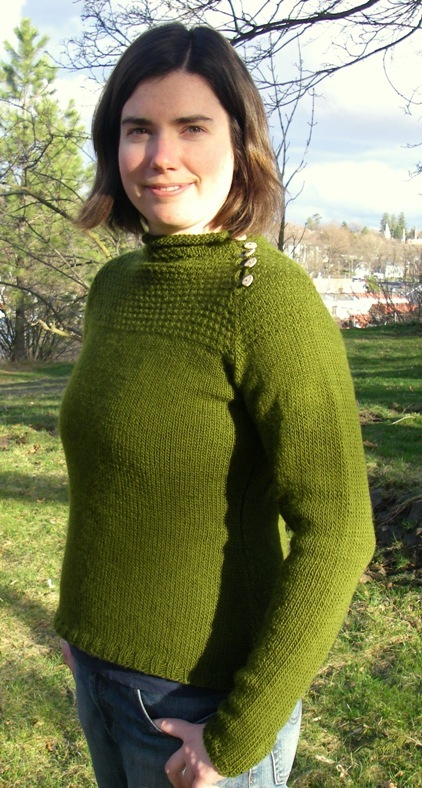 I ended up modifying this pattern (Jennifer Lang’s Victoria Yoke Pullover) a bit; the original has sleeves that end just above the elbow, but I wanted long sleeves on this one (to date, most of my knitted sweaters have featured 3/4 length sleeves – mostly due to impatience on my part, but sometimes 3/4 sleeves just aren’t warm enough). 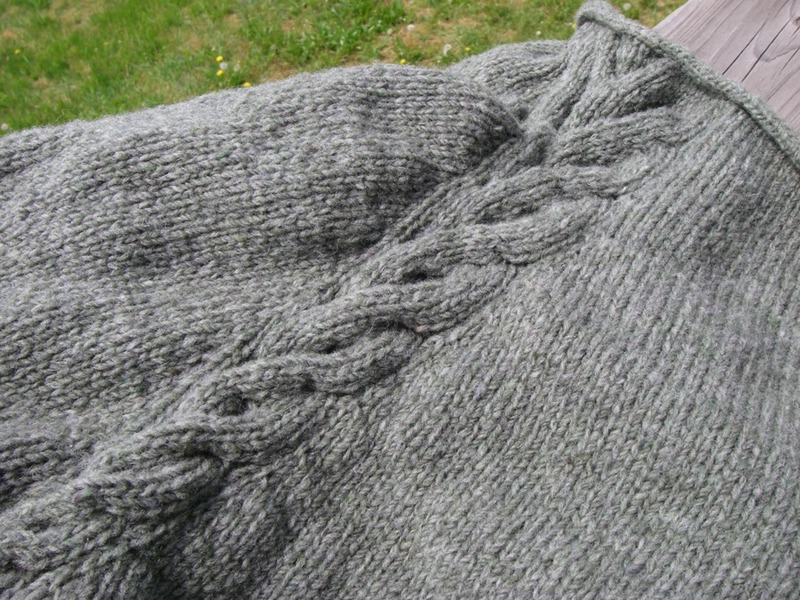 Overall, this was an enjoyable sweater to knit; that’s an especially good thing, because due to measuring error(s), I knit the body at least 2.5 times, and the right sleeve twice (luckily the sleeves are the same, so the left sleeve worked out on the first try). But all’s well that ends well, right? 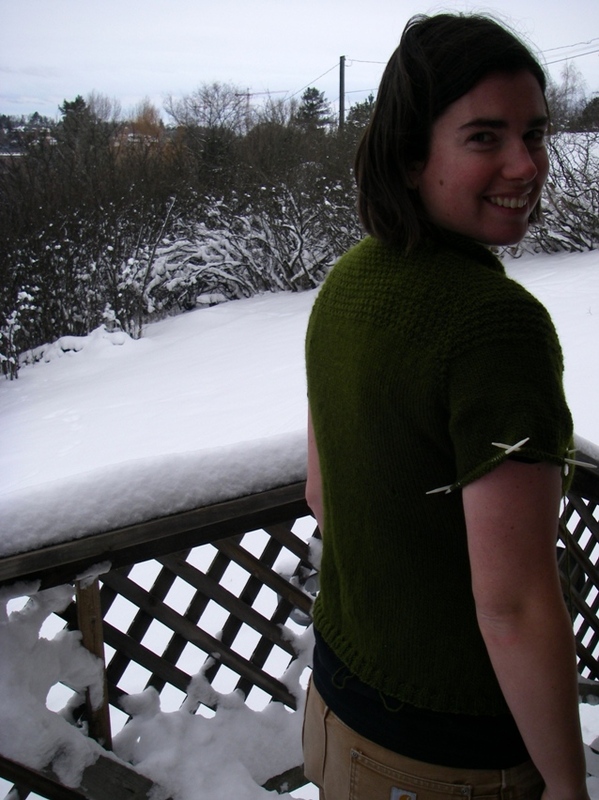 February lady sweater – done! I love how this sweater came out! Blocking it really added a lot of length (about 6 inches, in fact), and evened out the lace pattern nicely. 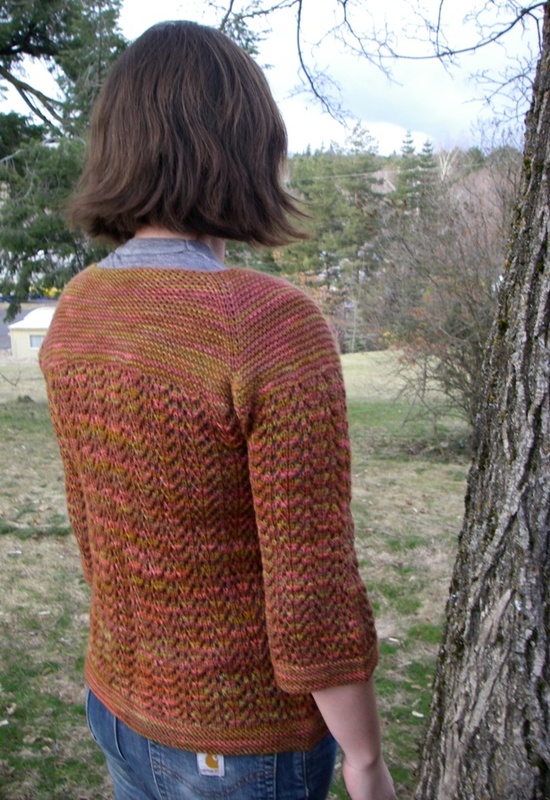 Finished just in time for spring (if not for February). the Gull Lace Pattern, that’s somewhat addicting to work. Once you finish one row, you want to work the next one just to see the lace continue. 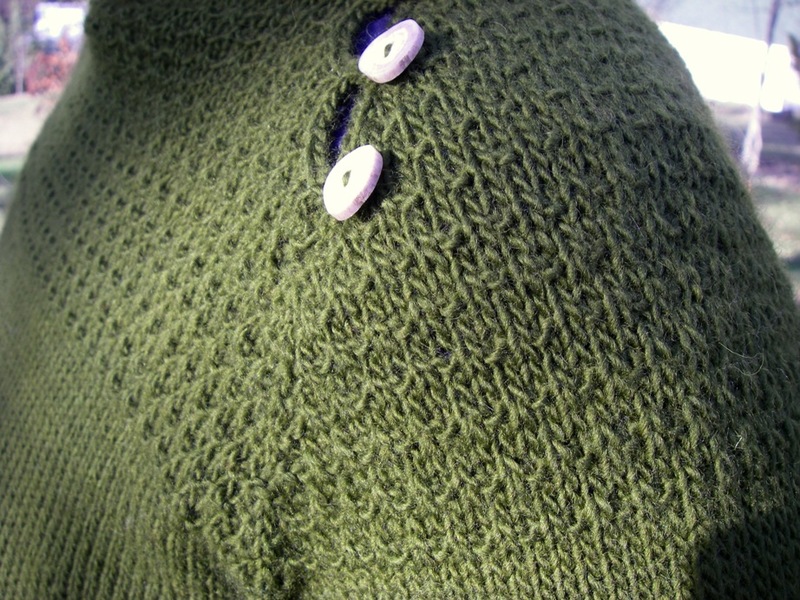 My sweater is blocking as I type; the last step is to go find some buttons and sew them on. With any luck I’ll be wearing it next week! 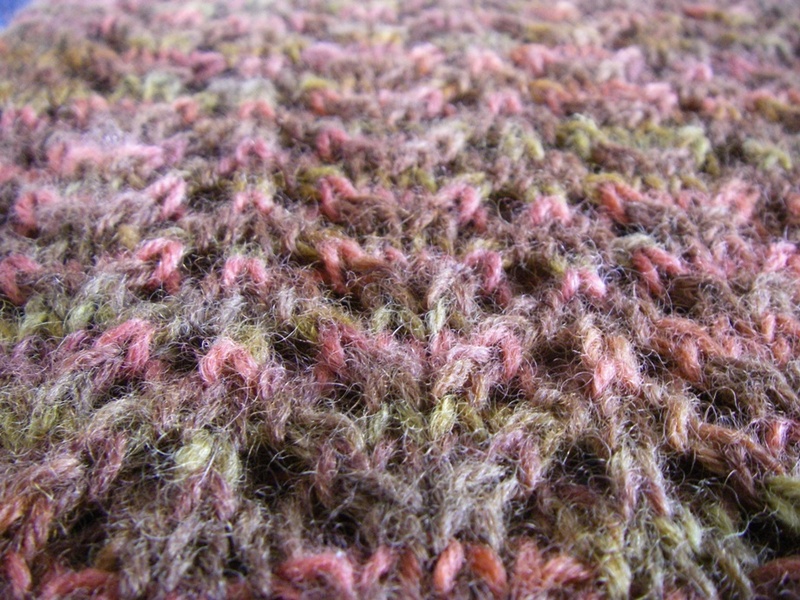 Lately, when I reach for a knitting project, I inevitably pick up a sweater-in-progress. I have lots of works-in-progress, of course, because starting a new project is much more exciting than finishing an old one, and those projects represent a wide variety of objects-to-be. Some are mittens, some are hats, some are blankets, some are loch ness monsters (it’s true! ), and some are sweaters. 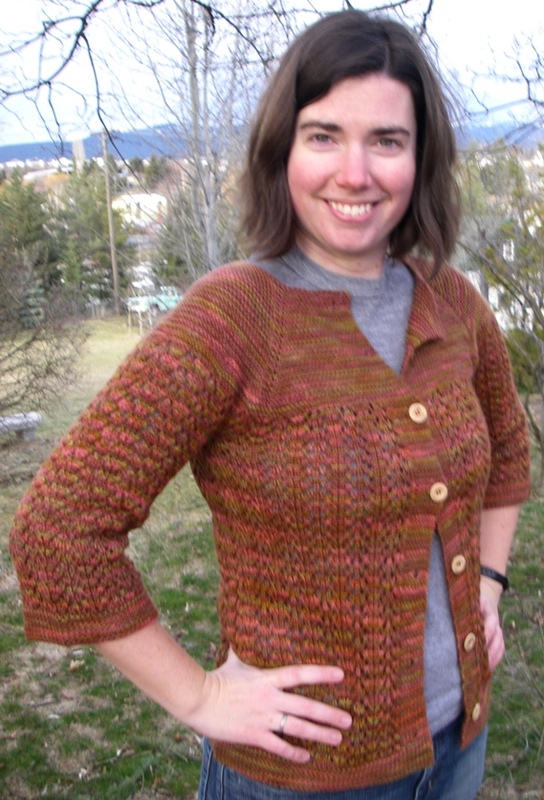 This is Jennifer Lang’s Victoria Yoke Pullover (here’s my version on ravelry). 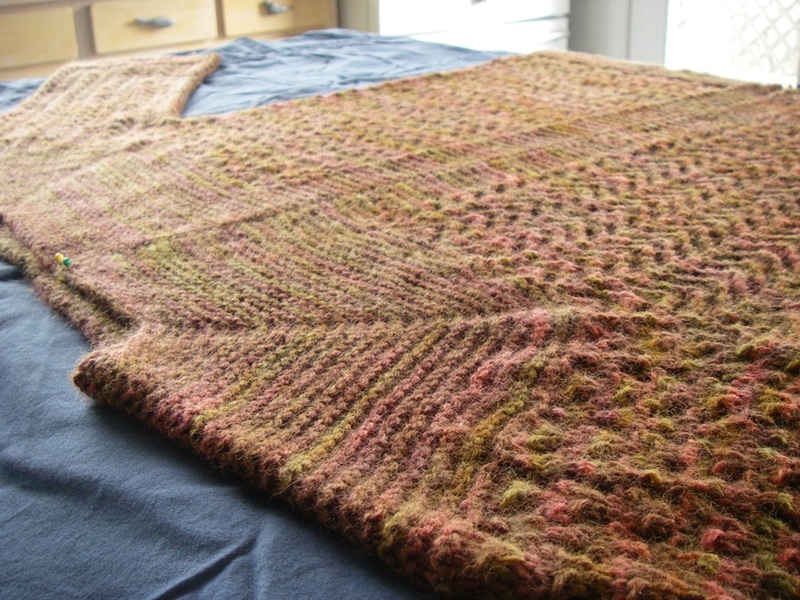 This one’s been on the needles for a while now… in fact, I couldn’t remember off the top of my head when exactly I started it, but according to my records: January 2009! Yikes. 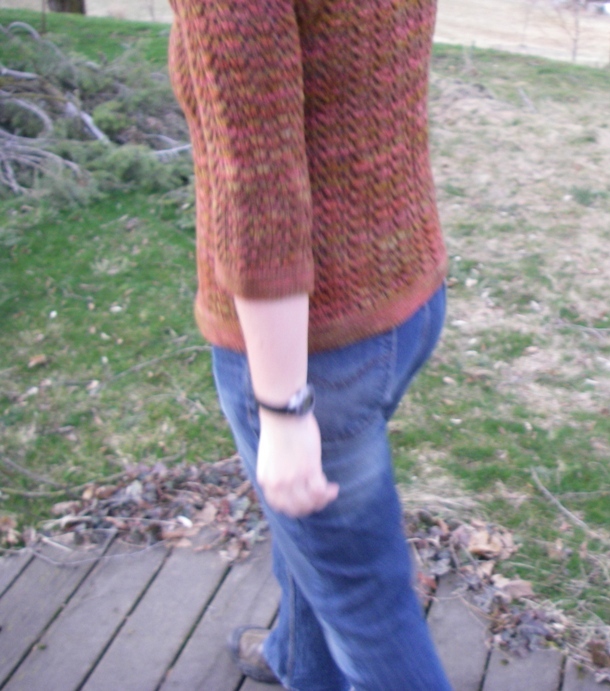 And, just as when I knitted Liesl, apparently I had some gauge issues because the first time around, this sweater was huge. Really big. So I ripped it back and, as you can see, the size issue has been remedied. Now I’ve just got to finish the sleeves and give it a good blocking. Piece of cake, right? Here they are! 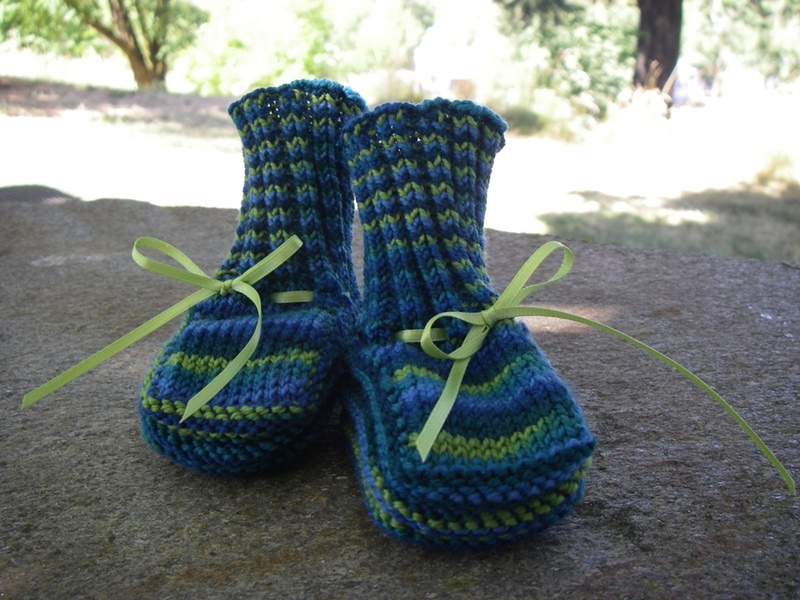 (Here they are on ravelry.) I hope the recipient enjoys them. Happy holidays and happy knitting, everyone!